Employee engagement offers new challenges in economic downturns. During times of plenty (economic growth) – we have many people focused on entitlements (pay, rewards, training, etc). It is the me time. During times of economic downturn – it is still a me time. * The individual focus is on security. * We become risk averse. * Narratives of job loss create low innovation and a head down approach. * Ownership and leadership can be diminished. The great leadership task during both times is to get employees to focus on others and as a result focus on corporate (group) goals. The need is to focus on great service and this can enable the focus to go past the individuals to others. In that state you can maintain engagement. * Explain how and why decisions are being made. * Involve staff in decisions to increase the feeling of control. * When employees are let go treat them with empathy and great care. * Those employees who remain must know you care about them. 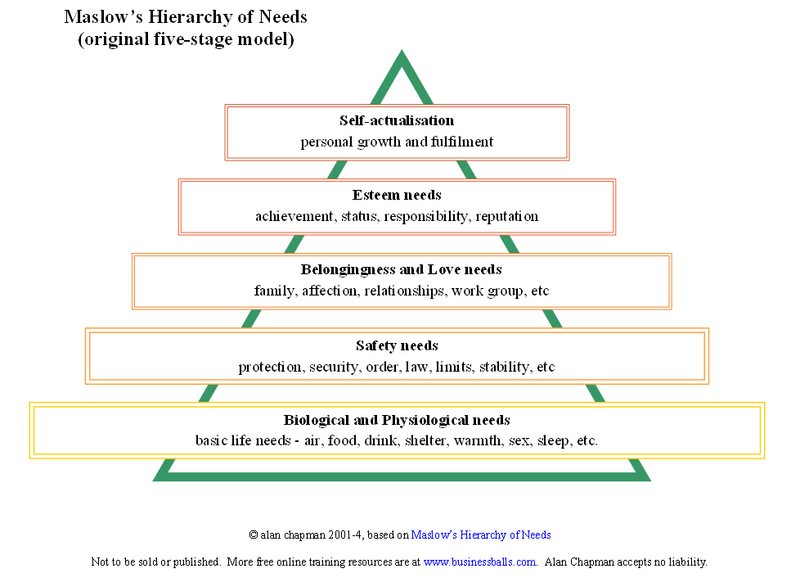 I rarely recommend Maslow’s hierarchy ,but right now it is a good model to reflect on. Maslow’s lower order needs are at risk in economic downturns. The higher order needs can supersede this challenge.